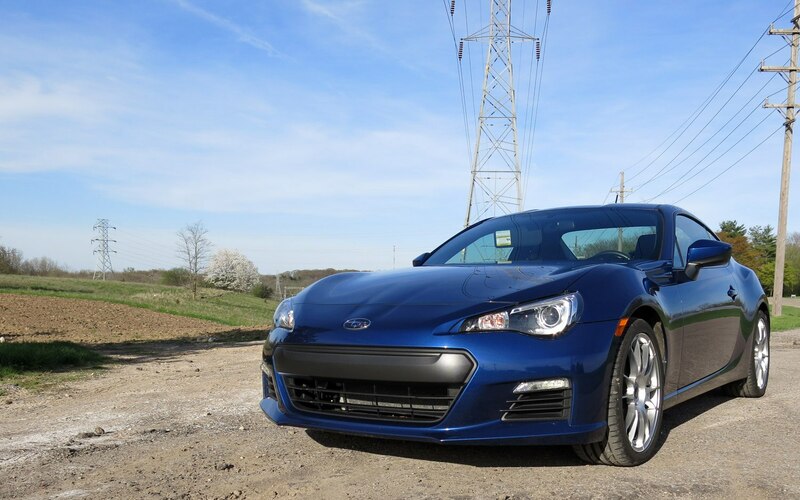 Of the criticisms of our 2013 Subaru BRZ Premium, few are louder — or more easily remedied — than those bemoaning the infotainment system. 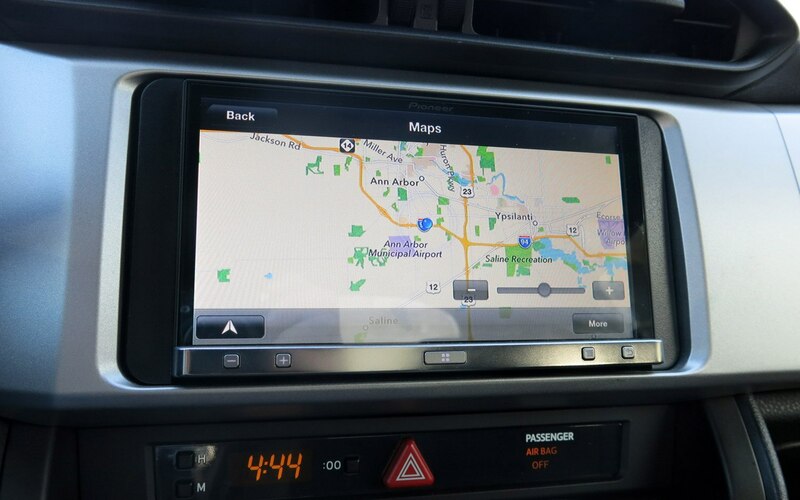 The standard system, which uses a touchscreen to link GPS navigation, Bluetooth and USB connectivity, and SiriusXM/AM/FM radio, has been criticized for its small buttons and confusing menu structure. We say easily remedied for a reason, however: the Subaru shares its dash layout (and its standard, double-DIN opening) with Scion, which means it’s almost comically easy to pop out the factory radio and slide an aftermarket unit in. In our case, we went with the Pioneer AppRadio 2. Pioneer’s AppRadio is a double-DIN touchscreen head unit, but it goes beyond the typical AM/FM/XM/iPod functionality. It connects to either an iOS or Android-powered smartphone to leverage applications for navigation, internet radio, and telematics. 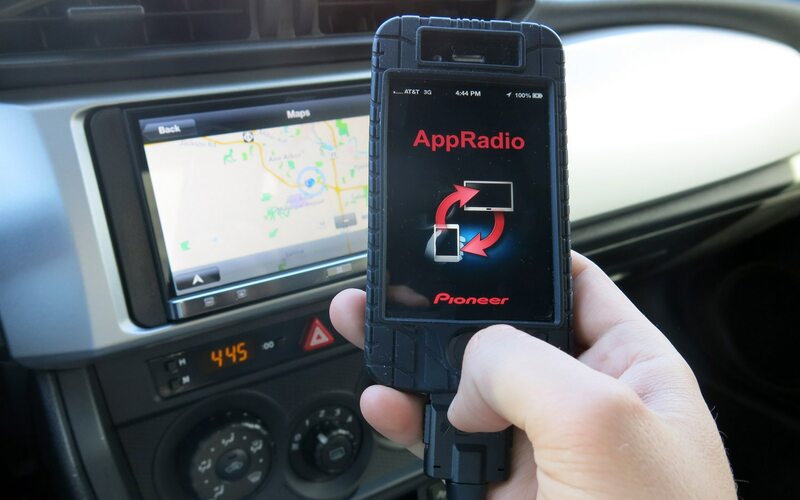 The process is simple: download Pioneer’s AppRadio application from the Google Play Store or Apple App Store, connect it to apps you already use, and then plug the phone into the head unit. 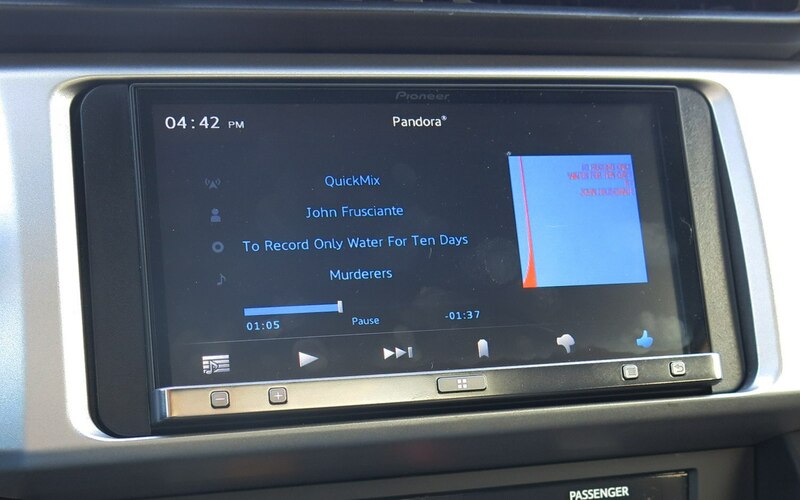 Voila: your navigation application, internet radio stations, and other functions are projected on the screen while the phone stays in your cupholder/tray/glovebox. 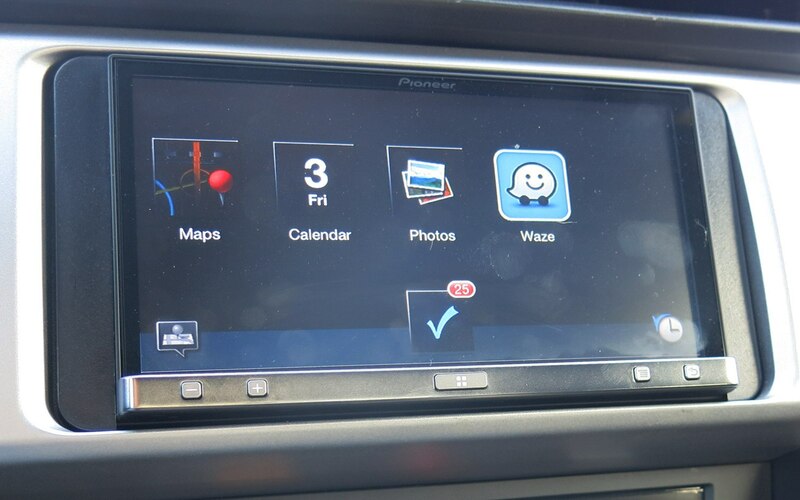 And the list of applications is fairly impressive: beyond the typical Pandora Internet Radio (which it offers), Pioneer’s AppRadio connects to apps like Apple Maps, MotionX Drive for navigation, iHeartRadio, Waze, and Rdio. Add an optional dongle and install DashCommand ($50, available on the App Store) and your AppRadio becomes a comprehensive gauge cluster that tracks anything from instantaneous MPG to G-forces and torque output. Thanks to software architecture called MirrorLink, apps look and behave the same way in-dash as they do on-screen. So how did it work? Well, our opinions on the unit depended on how much, and how intricately, we used the unit. 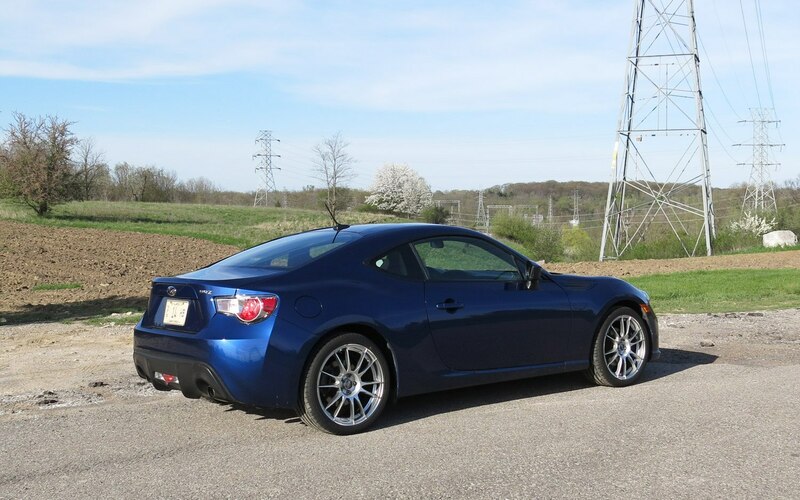 Drivers who stuck with the unit’s basic AM/FM/Bluetooth/MP3 functionality found it easy to use, and quicker than the Subaru unit it replaced. Those of us who delved deeper had mixed results. A big issue with the AppRadio, at least when working with the iPhone 4 (our test platform), is speed: the AppRadio (and our phones) stuttered and lagged as the phone opened individual applications and generated the video to display on the head unit. Multitasking — navigating with Waze while listening to iHeartRadio, for instance — is theoretically possible, although it’s much harder in practice: switching applications requires you to go back to the AppRadio menu, which requires switching the application on your iPhone back to AppRadio. Perhaps Android users — who use a combination of Bluetooth and HDMI connections instead of the 30-pin Dock Connector — would have an easier time. Then there’s the navigation: most GPS applications that work with AppRadio are low-cost, but they require pricey in-app purchases to work with the Pioneer unit. That includes MotionX, which costs $0.99 to buy, but $24.99 once you plug it in. (Of course, this is still cheaper than a typical $99 portable unit, but the costs can add up.) Your cheapest option is Waze, which is free for all users, although some of Waze’s features are shut off while the car is in motion, in hopes of keeping distracted driving to a minimum. That’s a valiant idea, but the truth is the AppRadio is fairly distracting in any application. Users who want to easily switch between a handful of radio stations should stay away from this unit, but we did find it pretty cool that it’s possible to listen to a commercial radio station from Los Angeles while checking for active speed traps with Waze. For the ultimate in distraction (and functionality), you’ll want to purchase Pioneer’s DashCommand add-on. The package consists of two pieces: one OBDII-to-WiFi attachment ($189.90, plus cables) and one $50 application. In tandem, the pieces can tap into the car’s on-board diagnostics system to show you most any measurement or gauge. Track-day fiends will appreciate the “track” screen, which uses your phone to map out a racetrack and show your speed throughout each lap. One interesting feature: the DashCommand can also read your OBDII diagnostic codes in real time, allowing you to check a “check engine” light message from your radio, and even clear it. With an MSRP of $599, the AppRadio is no steal, and it’s almost certainly too pricey for users who want simplicity in their radio. Still, other MirrorLink units more fully integrate things like GPS navigation and SiriusXM Satellite Radio (our unit didn’t feature it), but AppRadio’s future — bringing together things like telemetry and cloud-based entertainment — is a pretty exciting one.